Workplace defamation suits will usually raise privilege issues. When one employee complains to a manager or supervisor about another employee and falsely maligns the other employee’s reputation in the process, the court will need to sort out whether the complaint is protected by qualified privilege. If it is, the statement can’t form the basis for a claim unless it was made with common-law malice or made to persons having no business hearing it. Common-law malice is different than the constitutional “New York Times” malice so often discussed in analyzing defamation liability. Common-law malice generally refers to some form of ill will on behalf of the speaker, motivated by things like hatred or a desire for revenge. In Virginia, there is a presumption that the speaker acted without malice. When a slanderous statement occurs at work, it often involves an accusation that a co-worker is unfit to perform the duties of his or her job, due to a lack of competence or lack of integrity. Statements such as these which prejudice a person is his or her profession fall into the defamation per se category, which means that a jury can presume the statement was harmful to the plaintiff, even if special damages are not proven. Earlier this month, a case from Stafford County was removed to federal court in Alexandria. 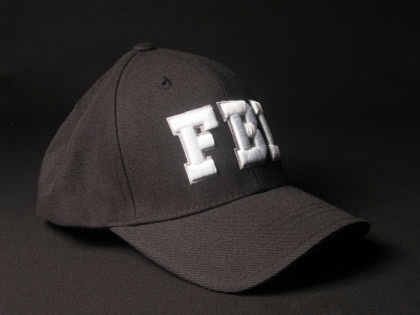 Suzanne Brown, the plaintiff, was an FBI agent assigned to the Behavioral Analysis Unit (BAU) within the Critical Incident Response Group (CIRG). The BAU handles cases involving threatened violence against public officials, and as a program manager, Brown was responsible for assessing such threats. Katherine Schoeneman, the defendant, is a psychologist who had formerly worked with Brown on some threat assessment cases under a contract with CIRG. Schoeneman offered her psychological observations while Brown provided investigative and law enforcement expertise. Emmett Jafari sued the Greater Richmond Transit Company for defamation and retaliation under the Fair Labor Standards Act. Jafari was a Specialized Transportation Field Supervisor for a Virginia company that transported clients enrolled in a state economic program. John Rush, a GRTC driver, told Jafari’s Chief Operating Officer, Eldridge Coles, that (1) he had seen Jafari in a heated discussion with a client in front of her home and (2) when the client boarded the van, she said Jafari had told her, “If you have something to say, say it to my face.” Coles allegedly told Jafari’s supervisor, Von Tisdale, “a customer had complained that Mr. Jafari told her ‘if you have something to say, say it to my face. '” When Jafari was later fired, he sued, alleging Coles’ statement to Von Tisdale was defamatory. In Virginia, defamation requires (1) a publication, (2) an actionable false statement, and (3) negligence or malicious intent (depending on the circumstances). Statements made between co-employees and employers in matters pertaining to employee discipline and termination enjoy a qualified privilege, which insulates those statements from liability unless they are made with malice or shared with people (including fellow employees) who have no duty or interest in the subject matter. If a defendant makes a statement within the scope of a qualified privilege, then the statement is not actionable, even if false or based on erroneous information. The law presumes absence of malice. To defeat this privilege, Jafari had to show, with “clear and convincing” evidence, the statements met the common law malice requirement, i.e., that they were said with “some sinister or corrupt motive such as hatred, revenge, personal spite, ill will, or desire to injure the plaintiff; or … made with such gross indifference and recklessness as to amount to a wanton or willful disregard of the rights of the plaintiff.” This he could not do, so the court entered summary judgment in favor of the employer.